Sharon Bates of Presque Isle was thrilled when Aroostook County and other parts of the state saw record setting temperatures last summer. CARIBOU, Maine — Sharon Bates of Presque Isle was thrilled when Aroostook County and other parts of the state saw record setting temperatures last summer. 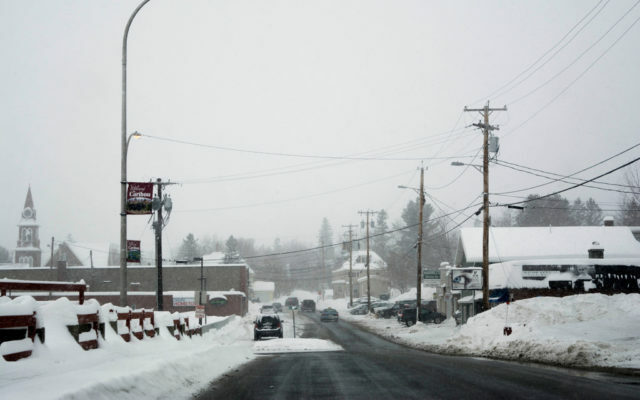 With several months left in the winter, Aroostook County already has seen ample snowfall, according to Mal Walker, meteorologist at the National Weather Service in Caribou. As of Feb. 9, Caribou had received 114.3 inches of snow this season, which is 46.9 inches above the normal amount of 67.4 inches for this time of year. “It has certainly been a winter to remember, as far as snowfall in Caribou,” said Walker. In addition, Bangor has received 47.8 inches, which is 6.5 inches above the normal amount of 41.3 inches. Portland has picked up 39.7 inches, which is .08 inches above the normal value. Due to a lack of contract observers in the Houlton and Frenchville areas, information about snow totals there is not available, according to the weather service. Suffice to say, however, that all of Aroostook has seen substantial snow thus far. Walker said he couldn’t say exactly what has contributed to the excessive snowfall this year and he would not attribute it to climate change. “It is above normal, but it is not the most snow we have ever gotten in a season,” he said Monday. According to Walker, the most snowfall ever seen during any winter season was 197.8 inches, which occurred during the winter of 2007-2008. During that winter, towns and cities across the state were forced to tap into emergency funds to finance snow removal. In Presque Isle, city councilors dipped into the municipality’s emergency account to offset approximately $100,000 in additional costs incurred that winter, including to cover overtime pay for crews with the city’s Public Works Department to keep up with the immense snowfall on the roads and for winter maintenance at Northern Maine Regional Airport. Walker said that a storm on Wednesday is expected to bring another 12 to 13 inches to Houlton and 13 inches to Caribou. “Despite that, I doubt that we will break the record for total snowfall set in 2008,” he said Monday.